A unique hand-crafted pottery water container is on offer for free — to students who are ready to dump their disposable plastic bottles. 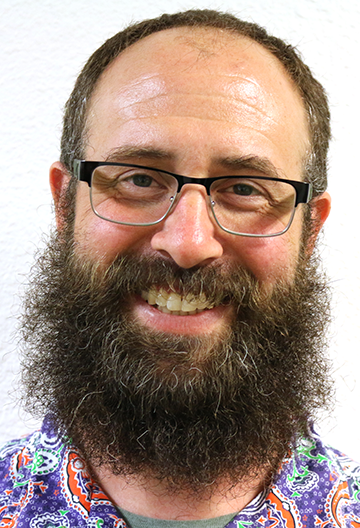 Visual Arts Professor Jeremy Fineman said he will instruct a pottery session at the end of the semester for students willing to participate. There will be a room for about 30 students. The pottery-making session will be at noon on Wednesday, Dec. 2, in CU3, Fineman said. In this session students will be making drinking containers out of clay. “They can fill these up with water, instead of carrying around their water bottles,” Fineman said. One of this semester’s ceramics students said she hopes to attend. “Mr. Fineman is a great teacher, he has a very kind attitude and lots of patience,” said Liseth Reyes. (Not related to the writer.) “He is always willing to help students when they are having problems. “When we begin a new project, he always goes into detail step-by-step to show us how to do it correctly. Former ceramics student Jay Escobar also endorses the idea. Fineman said there are two reasons for this activity. One is to encourage students to read the book “Water Matters” as part of the library’s reading project. One essay in this nonfiction collection is entitled “Think Outside the Bottle,” which chronicles the environmental harm caused by millions of discarded plastic bottles that end up as trash in landfills. “The book covers a wide gamut of reasons we should explore the value of water including political, economic, social and finally sustainability,” Fineman said. Students can get a free copy of the book by asking for one at the library, Fineman said. The other reason is to help students relax. Fineman said students can refill their water pots at campus water fountains. Fineman will instruct students step-by-step on how to make their containers. They heat the pottery vessels to above 1000 degrees so the clay can harden and keep its shape–and be water-tight. The project will not be too difficult, Fineman said, because he just wants the students who attend to enjoy themselves and relax. For more information contact Fineman at jeremy.a.fineman@occc.edu .